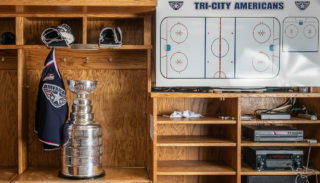 KENNEWICK, WA – The Tri-City Americans are committed to the future of hockey in the Tri-Cities, as we work to improve the facility and fan experience for the 2018-2019 season. Foremost, the Tri-City Americans would like to stress that we are committed to staying in the Tri-Cities and appreciate the continued support of our great fans and sponsors. Together, the Western Hockey League, Toyota Center and the City of Kennewick, have devised a three-year plan to address the WHL’s concerns. This was a necessary step after the voters of Kennewick said no to the Link project. We’re also working on enhancing our hockey patrons experience with key investments. These plans will be expanded upon as we approach the upcoming season. 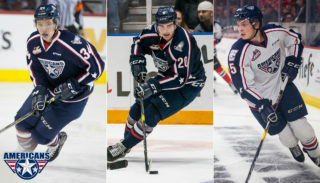 “The Toyota Center has been the home to the Tri-City Americans for 30 years and we’re committed to making this their home for at least another 30 more! We are working closely with the City of Kennewick to revamp the Toyota Center to improve the overall experience for the hockey team and their fans, as well as all the other events we host each year. 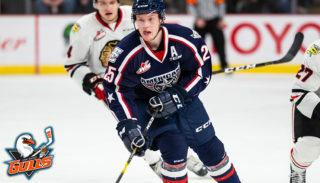 The Toyota Center and the Tri-City Americans have never been better aligned and are both equally excited about this ongoing partnership,” stated Corey Pearson Executive Director of the Toyota Center. “We are encouraged by the meetings that have been held and appreciate the willingness of the City of Kennewick to work with us to ensure our continued viability here in the Mid-Columbia.” commented General Manager and co-owner, Bob Tory. For questions or more information please contact Craig West at cwest@amshockey.com. Tri-City Americans season ticket plans are now available for the 2018-19 season. Season ticket plans can be purchased by using several, convenient monthly payment schedules after a one-time service charge. 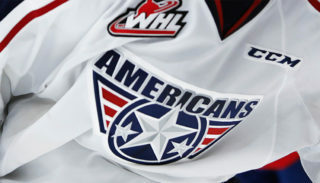 Call 509.736.0606, visit AmsHockey.com or drop by the Americans office at the lower level of the Toyota Center for more information.